Car collisions are inevitable. You could be a careful driver only for someone to swerve carelessly towards you and knock your car. If your car is insured the insurance company will cover the costs of repair. But, you should not just accept the auto body repair shop the company recommends. Some may look promising only for them to perform a shoddy job. In this article, we are going to offer vital tips on selecting the right auto body shop. Many mistakes can be avoided if you take the time to research your company. Look at the track record of the company doing repairs. Ask questions like how long have they being in existence, do they have a solid track record and with testimonials. Bad bodywork will leave your car with bulging parts, making the car look ugly. You can ask your family and friends for opinions on the best provider. When selecting the service provider asks the attendants questions. This will give you a clue as to how they will carry out the repairs. The fact that your insurance company will be paying for repairs does not mean you do not check on prices. Ask for estimate quotes. These are readily available from the auto body shop repair website. You will also need to inquire on the time it takes to do the repairs. It is frustrating taking your car for a body repair only for it to stay there for weeks. You may also want to find out the type of equipment that the auto repair shop uses. Some have sophisticated machines that do a perfect job while reducing the waiting time. You want an auto repair shop that is located near you. This gives you time to visit the shop during repairs and see how the work is progressing. Most of the auto body shop want to retain their customers and will, therefore, offer good customer care services like picking and returning the car after repairs. Locals who you are familiar with will most likely run a local auto shop. Look for auto body shops that are OEM certified. 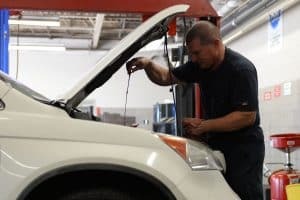 Some of the auto shops will charge an hourly rate for repairs. The rate will be determined by the company’s overheads. If it employs many people and is located in a place where rent is expensive then expect to pay more. This is the reason it is advised to find one that is located near your neighborhood. Your mechanic deals with auto body repair shops all the time. They personally know some of the technicians at the shops. Your mechanic can recommend certain repair shops to visit. You should do due diligence and not take their word as it is. You may also want to inquire whether the auto body repair shop offers a warranty for repairs. Auto body repair shops employ a variety of people. You want a place where people know about their work. If you find a repair shop with employees who have been in the industry for many years they are likely to know what they are doing. You should also ensure that the employees are courteous and professional. A place where employees are not concerned about your issues should be abandoned. You can check the auto repair shop for inquires. If they take long to respond then it is wise to look elsewhere. Most of the auto body repair shops will display their certificates on their walls. This is a go sign that they’re licensed. The licenses also indicate the day the body repair shop started and if they have won any service awards. Most reputable auto shops will have the same displayed on their websites. If you have done your research but still have a gut feeling that the repair shop is not the right for you, walk away. A gut feeling can be activated by anything you see at the repair shop. It could be that you found a client complaining of delay and the management did not take the time to resolve the issue. You should also observe the repair shop for activity. If you find the repair shop dealing with few customers then it probably does not have a good track record. Most of the good auto body shops are often buzzing with activity. The cheapest repair shop is not always the best. Most of the equipment used for bodywork cost a lot and auto body shops invest thousands of dollars to acquire the latest equipment. This means you will have them charging a premium. Before settling on a repair shop get price estimates and compare based on the quality of service and work. You will also need to find out the type of materials that are used for repairs. A normal paint job can cost you between $500 to $2,000 depending on the type of paint used. No one loves having a car with dents. The car looks bad to onlookers and it makes it hard to get a fair price when you decide to sell it. However, if you are going to be driving accidents are unavoidable. When this happens you need to identify the right auto body shop. Do not just go with the service company that your insurance company recommends. Instead, do a background check of the company. Check online for body repair estimates. It is prudent to ask your family and friends for recommendations. If an auto repair shop is good you will find them having many positive reviews and testimonials. Bodywork should not take long and it is ideal to find an auto repair shop near you. This makes it easier to take your car to the shop and even having it dropped at your home. If you have a gut feeling not to go with a particular auto shop, follow your instincts. Check for repair shops that have excellent customer service with professional technicians. If you can find one with modern repair equipment the better.